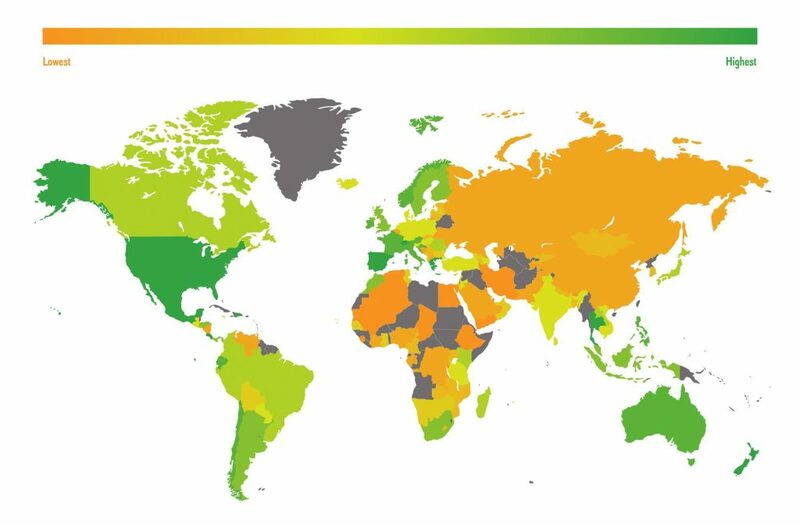 Compiled by analysing a variety of factors that we believe any right-minded outdoor enthusiast would find important, our Fresh Air Living Index identifies which countries around the world best meet the criteria, then brings every outdoor factor together in an overall ranking. Important factors include the number of natural UNESCO sites a country has, the average level of air pollution and the number of recognised, long-distance hiking routes available to trek. 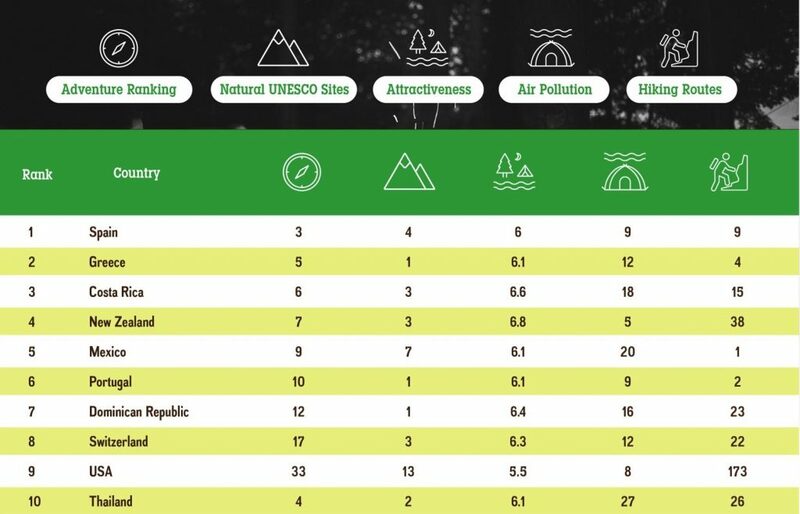 Right at the top of the list in first place was Spain, with an incredibly low air pollution score and a high rate for the attractiveness of its natural assets (which calculates to what extent international tourists visit the country mainly for its natural assets). Key features helping Spain in this regard include the Gaztelugatxe, a little islet in the bay of Biscay, and the Somiedo National Park, near the Cantabrian Mountains, which is a designated UNESCO biosphere reserve and a European Union special protection area for birds. While a number of tiny campsites in the Somiedo National Park have featured in our guidebooks over the last decade, other European destinations topping the index include Greece, Portugal and Switzerland, which all featured in the top 10. Ranked 21st on the list, the UK falls behind evidently wilder countries such as Norway, Australia and Chile but stands out in particular for its high levels of access. With the largest number of recognised long-distance footpaths of any country on the list, historic routes, coastal trails and by laws such as ‘the right to roam’ help give UK residents rights of way that’s the envy of many other nations. Read on below to see the full results of our Fresh Air Living Index. 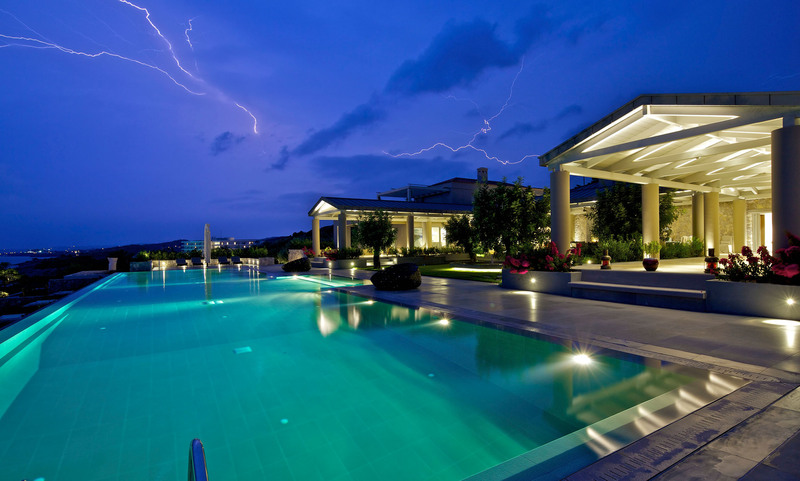 Spain was ranked as the number one destination for outdoor enthusiasts after it ranked highly in almost every category. Not only did it come third on the US News’ Adventure Rankings list, it also came 11th in the world for the number of natural World Heritage sites in the country. The full list of results can be found below, followed by an explanation of the methodology we have used.